Simplus | Introducing Kevin Keelan—Simplus' new Sales Director! 08 Apr Introducing Kevin Keelan! 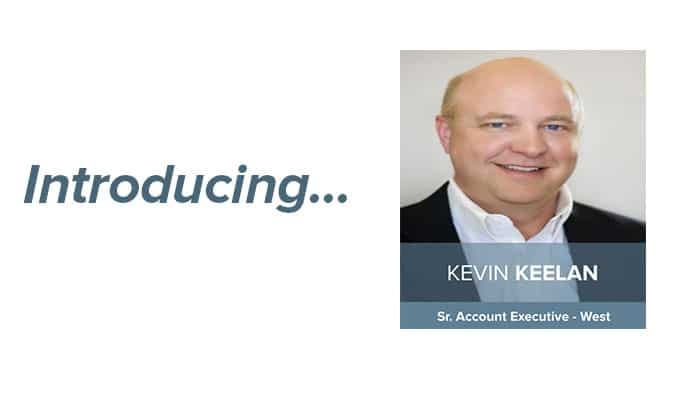 We are excited to introduce Kevin Keelan, Simplus’ new West Sales Director! Kevin is a healthcare sales executive, thought leader, and IT-solutions specialist. With over 18 years of strategic sales experience in provider and vendor verticals, Kevin will be focusing on healthcare and life sciences (HLS) at Simplus. Early in his career, Kevin worked in the public sector and created a large-scale tax and benefits system for four states, based in Colorado. Through this, he became well-known for his IT work at the state, local, and federal levels. After (and in part because of) Kevin’s success with creating this app, Salesforce recommended Kevin for a position at Bluewolf in 2015. As a Senior Client Advisor with Bluewolf, Kevin sold professional services to optimize patient engagement with HLS enterprise accounts. His work included fully leveraging the Salesforce platform. When IBM acquired Bluewolf, Kevin was asked to help run the healthcare sector for the west region. That’s when he made the move to HLS, and it’s where he has been ever since. In 2017, he joined Virsys12, a Salesforce Gold Consulting Partner focused on healthcare innovation and the Health Cloud. Kevin was instrumental in bringing on a large client and helping them set up a global Health Cloud solution that spread across four countries. Kevin earned his MA in instructional design from Colorado State University and is an advisor for the Colorado Technology Association for Healthcare IT. We are ecstatic to have Kevin joining our team and bringing his extensive HLS expertise with him.